On Sept. 12, the U.S. National Transportation Safety Board released a statement about the accident following its investigation of what happened. According to the NTSB, the Tesla Model S had an autopilot system with operational limitations, and these limitations played a major role in causing the collision. The NTSB said that the autopilot system was flawed because it was not able to make certain that the drivers were paying attention when the vehicles were traveling at high speeds. The system also did not have controls in place to limit the types of roads on which it could be used. Finally, the autopilot system did not have any sensors to monitor the drivers’ engagement. These are all system safeguards that the NTSB says that all manufacturers of semi-autonomous vehicles should make sure to include with their autopilot systems. 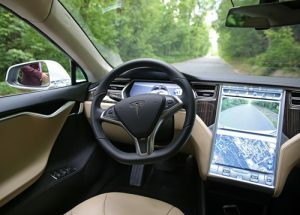 Tesla stated that driving in autopilot mode increases safety, but it did say that it would analyze the recommendations that were made by the NTSB. That the design defect was the major cause of the accident that harmed the plaintiffs. In the Tesla case, Tesla’s statement pointing out that this accident was the first fatality out of more than 130 million miles driven in its cars appears to be an argument that the type of harm that happened to Brown is unlikely. Tesla might also argue that autonomous cars are still under development, and safer alternatives may not have been readily available at the time the Model S was manufactured and designed. In order to prove that the vehicles are defective, plaintiffs must also meet the consumer expectation test. Under this test, the plaintiffs must show that the vehicles were defective because they did not perform in the way that ordinary consumers expected. To meet this test, the plaintiffs must be able to prove that the defendants sold, manufactured, designed or distributed the vehicles, and the vehicles did not perform as safely as ordinary customers would expect them to perform while the customers were using them in a reasonable manner. They must also show that they were harmed and that the design defect was the major cause of their harm. In the Tesla case, Joshua Brown reportedly ignored warnings to place his hands on the wheel seven times. If Tesla was sued, the company would likely argue that Brown was not using the autopilot system as it was intended. The company would then argue that because Brown did not drive the vehicle in the manner in which it was intended, his family would be unable to meet the consumer expectation test. When drivers are partially at fault in causing their accidents, juries determine the amount of fault that is attributable to them. If they prevail, their awards will be reduced by the percentage of fault that they had in causing their accidents. Given the facts of the Tesla accident, the family of Joshua Brown would likely receive a reduced award because it appears that he shared some fault. The family has not sued the company and instead says that the car was not to blame despite the findings of the NTSB. Proving a design defect claim may be complex. If you were injured in an accident that you believe was caused by a defective part or component, you might want to talk to an experienced personal injury attorney who accepts products liability cases. A lawyer may analyze what happened and offer you an honest assessment of the strength of your claim. Schedule a consultation with an experienced products liability attorney in Los Angeles today.